Feline Friends is supported by generous people like you who care about cats and kittens. As an IRS 501(c)(3) nonprofit organization, your donations are tax-deductible up to the limits allowed by law. To donate via secure credit card link, please select one of the PayPal buttons below. To donate a vehicle, contact the Northwest Charity Donation Service. 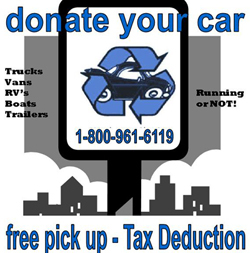 Once you release your vehicle, The Northwest Charity Donation Service will pick it up and you can report the donation as a deduction on your income tax return. Check out the Northwest Charity Donation Service website for more information. Buying or Selling a Home? Contact the Brokers Supporting Pet Rescue. Brokers Supporting Pet Rescue (BPSR) will make a donation equal to 10% of the net commission on every home sale or purchase to our client’s choice of local pet rescue organizations. Brokers Supporting Pet Rescue is a network of animal-loving Pacific Northwest Real Estate Brokers working together to help rescue animals. It’s our vision to work with like-minded clients to help maximize support for local pet rescue programs and have a positive impact for animals in need statewide.